Interest has been generated for Baxi’s two leading low-carbon products, the Baxi Ecogen and Baxi Bioflo, following the Ecobuild Exhibition at London ExCel. Head of sales in Baxi’s Low Carbon Technologies business, Graham Parkes, said: “People came to the show with preconceived ideas about biomass and combined heat and power. They were able to see the models of the products on our conventional stand and then come and see the technology in action – and they were blown away! Changing customer attitudes towards low-carbon technologies is seen as a major stumbling block for plans to improve energy efficiency in homes across the UK. Many central heating solutions that are currently installed in homes do not meet the Government’s criteria on carbon emissions, meaning that thousands of households are not only failing to improve the environmental outlook but failing to save money on energy bills in the process. The Baxi Ecogen and Baxi Bioflo have been designed to help homeowners reduce their outlay on domestic fuel whilst ensuring that fewer carbon emissions are produced as a result. The Baxi Ecogen dual energy system is particularly impressive in so far as it generates electricity for use in the home or to be exported to the National Grid under the Government’s Feed-In Tariff (FIT). 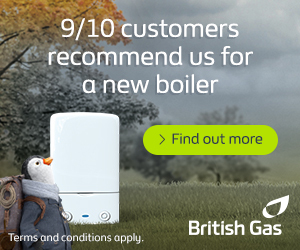 The Baxi Bioflo, meanwhile, is a pellet-fed boiler that is predominantly designed for use in areas that have little or no access to mains gas. The Bioflo features an efficient modulation mode that varies output between 30 and 100 per cent (3.8kW and 12kW) depending on usage and demand.